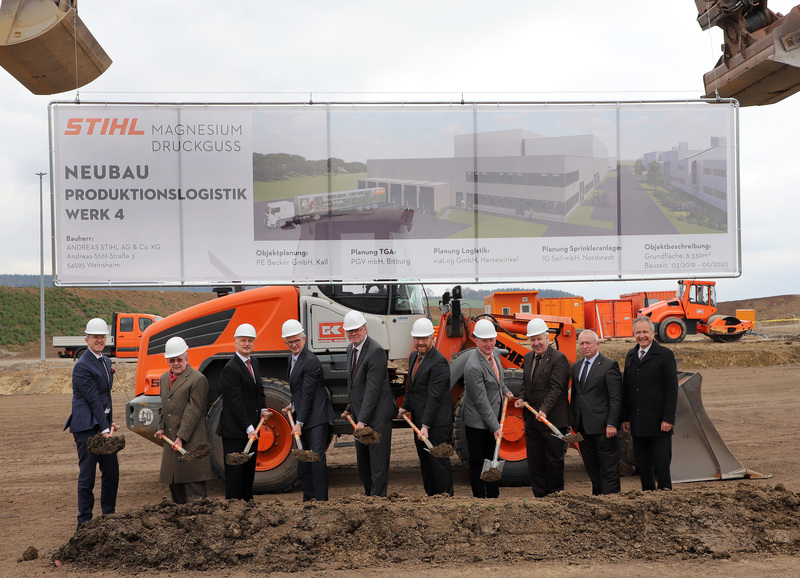 STIHL Magnesium Die-Casting is expanding its plant in Weinsheim, Germany, to include a new production logistics facility. A groundbreaking ceremony on April 5, 2019, marked the start of construction. 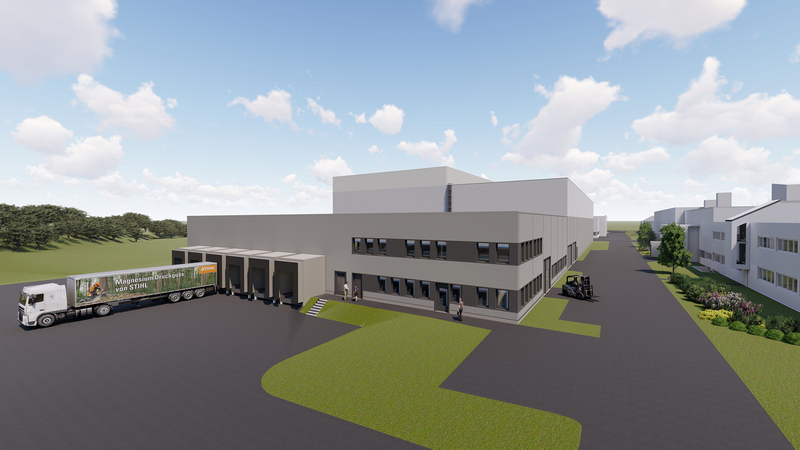 With a total volume of 18 million euros, the expansion is the largest single investment at the location in the German state of Rhineland-Palatinate. Dr. Nikolas Stihl, Chairman of the Advisory Board and Supervisory Board at STIHL, said: "Given the technological leadership of our magnesium die-casting products, this location's growth prospects are highly promising. The new building will allow us to significantly increase our logistics capacities, which is necessary to cope with the rising sales of chainsaws and power tools, as well as orders from external customers." Hartmut Fischer, general manager of STIHL Magnesium Diecasting, added: "The plant is constantly growing and is reaching its physical limits. By building a logistics facility, we are making room for the future growth and optimization of logistics processes and creating space for new machinery." Dr. Joachim Streit (chief executive and representative (Landrat) of Eifelkreis Bitburg-Prüm), Hans Peter Stihl (general partner of STIHL Holding AG & Co. KG), Dr. Nikolas Stihl (chairman of the STIHL advisory and supervisory board), Dr. Bertram Kandziora (chairman of the STIHL executive board), Hartmut Fischer (general manager of STIHL Magnesium-Druckguss), Günter Meyer (works council of STIHL Magnesium-Druckguss), Peter Meyer (Mayor), Bernd Becker (from PE Becker GmbH), Aloysius Söhngen (mayor of the Verbandsgemeinde Prüm) and Norbert Pick (STIHL executive board member marketing and sales).